Since the end of March when the first Enactus National Competition took place, we have been following along with the exciting events taking place in each country, and using tweets, Facebook updates and news articles, as well as reports from country leaders, to write recaps for our blog so that our global network can experience each event. As we approach the end of the competition season, we would like to offer you a first-hand account of what took place at the Enactus Morocco National Competition. The following article is written by Bouchra Rabeh, Head of Communication at Enactus Morocco. 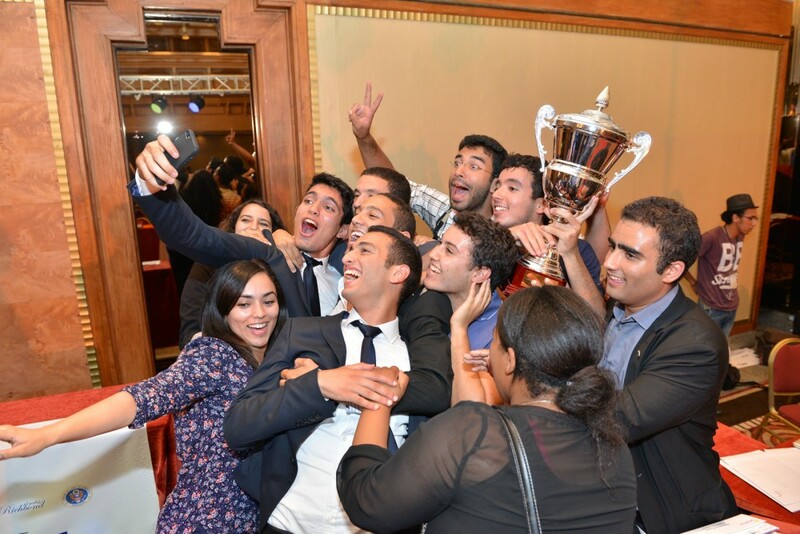 If we are asked to describe the 11th annual Enactus Morocco National Competition, one word would do it: energetic! Fasting this year didn’t stop our Enactors and attendees from living each and every moment of the day. Indeed, this edition marked the first time we’ve held a national competition during Ramadan and believe it or not, it was a non-stop day from 8 AM until 1 AM…a non-stop progress enabling day! 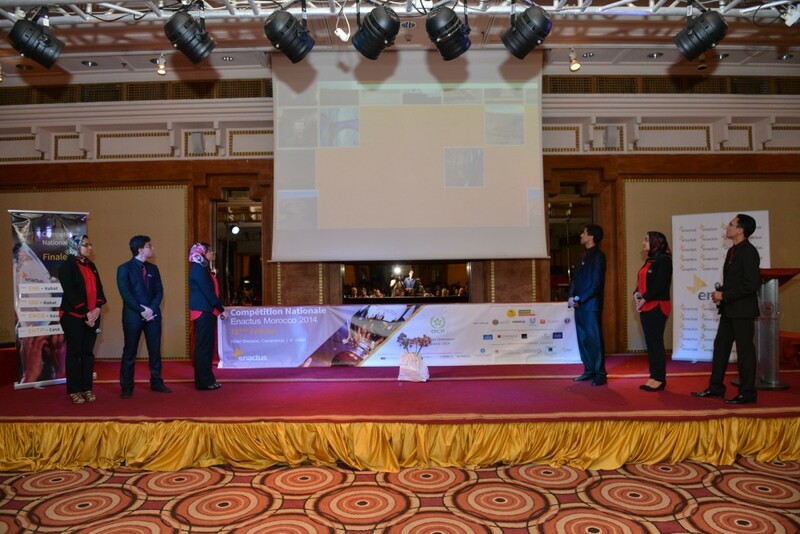 This year we organized the first edition of Enactus Morocco regional competitions. The first regional competition took place on 21 June in Marrakech (13 competing teams) and the second one on 28 June in Rabat (13 competing teams). 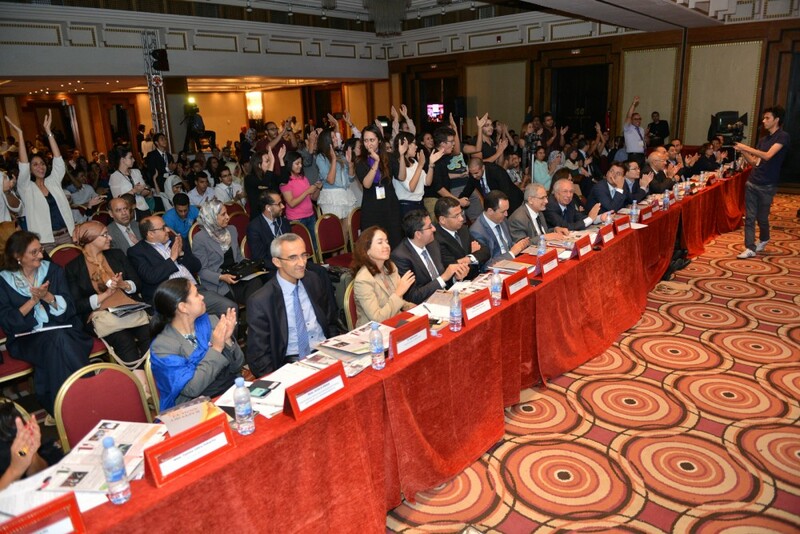 With a total of 12 semifinalists (6 from each competition) we organized the national competition on 8 July in Casablanca at the Sheraton Hotel. Many exceptional guests joined forces with us: His Excellency The Chinese Ambassador spoke about the importance of dialogue between all our cultures and how important Enactus is for China; The Minister of Higher Education highlighted the importance of entrepreneurship, knowing cultures and research and how Enactus is an excellent tool to reach this; and The Minister of Handicrafts and Social Economy who was amazed by the power of our collective knowledge to answer the challenges of the country. M. Mohamed Horani, CEO of HPS WorldWide and 138 other business leaders took part in the event, serving as judges of the competition. After four rounds of competition that saw 12 teams participate, judges selected the team from Mohammadia School of Engineers as the 2014 National Champion. Judges were impressed with projects like Access Water, a revolutionary, low-cost water filter solution that produces clean water for drinking and income opportunities for low income individuals. The team developed a training program that would teach micro-entrepreneurs how to produce and sell the filters, and they implemented the program in six villages in Morocco and one in Burkina Faso. As a result of this pilot phase, seven “waterpreneurs” are now providing products for over 426 people in seven villages with net revenue of $150 per month, a 150% increase. This year’s program included a pitch competition, where 22 of our Enactors competed against time to showcase their projects in less than a minute. Twenty-two economic, social and environmental projects were showcased in front of an attentive crowd, the winning projects will receive coaching and support from the Global Shapers Rabat network, part of the World Economic Forum. The two winning projects were a mobile application to locate patients suffering from Alzheimer’s and a project that aims to transform chicken “feet” into a transformative fertilizer. We also held a “One Take Video” session as a team building exercise, in which teams had to improvise songs, poems and other artistic forms to explain what we do in Enactus in less than 2 minutes. 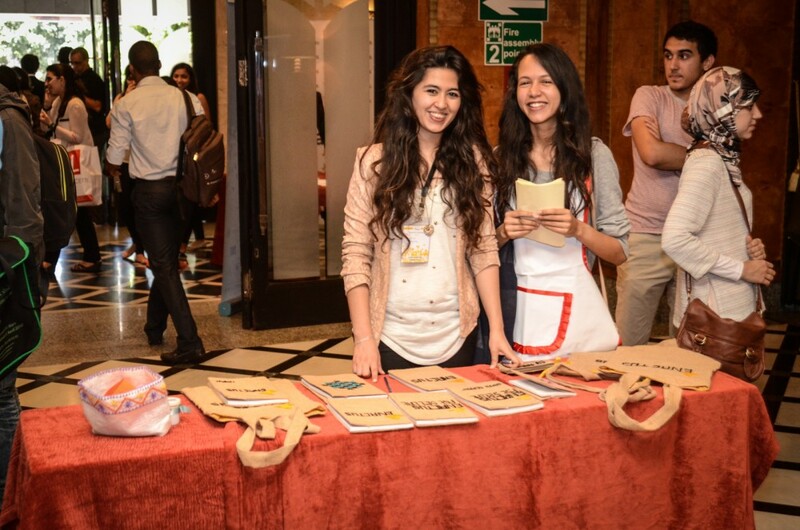 Our teams also had the opportunity to showcase the result of their work in the Products Fair. Last but not least, we launched during our competition an exclusive challenge with Unilever Maghreb: The Young Social Entrepreneurs Award 2014 comes to reward young people under the age of 30 who have developed innovative products, services or apps aiming to improve livelihoods. The award offers 200 000 MAD of financial aid and coaching and gives the winner the opportunity to take part in Enactus World Cup 2014. The applications opened on the 8th of July and will close on the 30th of August by midnight. For more details about the Young Social Entrepreneurs Award, check our Website: www.enactus-morocco.org/prix-jeunes-entrepreneurs/. Great appreciation goes to this year’s sponsors and partners starting with our National Champion sponsor OCP and OCP Entrepreneurship Network, CDG Foundation, Mohamed V Foundation, Unilever, KOSMOS Energy, Richbond, BMCE Bank, Cosumar, La Marocaine Vie, AUDA, DOLIDOL, AISSE, Mazars, Losange Bleu and Hard Light.